Among the roles I played as a Private Investigator (between assignments as an Undercover Operative) was monitor of security personnel. 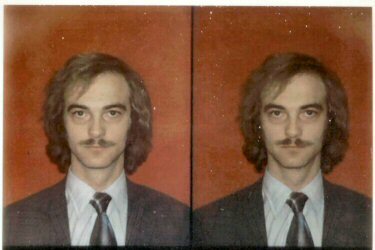 I did background checks, went on site (for example, to a major bank) to make security photo I.D.s (a test photo of me is shown here), secretly monitored the security effectiveness of guards and tested the honesty and competence of employees. I conducted store, hotel, and bar tests for example (once catching a crooked bartender), and, with a fellow operative, pulled clients' trucks off the road, searching them against shipment invoices for possible stolen goods.